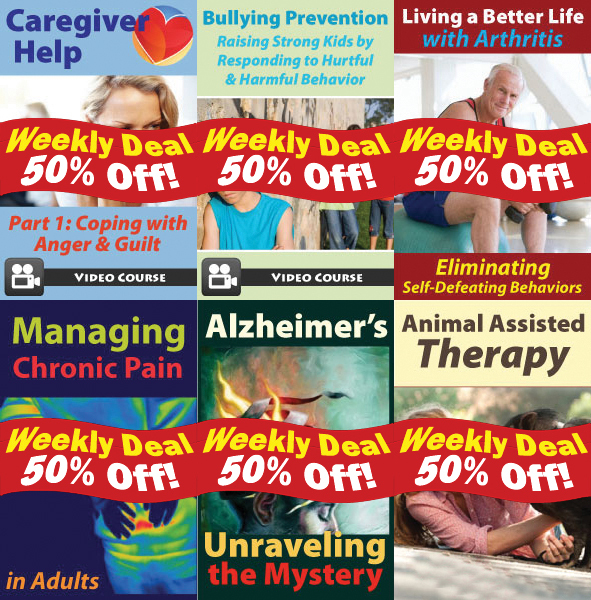 50% Off Weekly Deals + Back to School Savings! Professional Development Resources is approved to offer continuing education courses by the American Psychological Association (APA); the National Board of Certified Counselors (NBCC); the Association of Social Work Boards (ASWB); the American Occupational Therapy Association (AOTA); the American Speech-Language-Hearing Association (ASHA); the Commission on Dietetic Registration (CDR); the California Board of Behavioral Sciences; the Florida Boards of Social Work, Mental Health Counseling and Marriage and Family Therapy, Psychology & School Psychology, Dietetics & Nutrition, and Occupational Therapy Practice; the Ohio Counselor, Social Worker & MFT Board; the South Carolina Board of Professional Counselors & MFTs; and by the Texas Board of Examiners of Marriage & Family Therapists and State Board of Social Worker Examiners. How Temperamental Differences Affect Young Children is a 2-hour video-based CE course presented by Lauren Ehrenreich, MSSA, LISW-S. Temperament plays a significant role in a child’s development, experience, relationships, and behaviors. Children often need supportive intervention to allow them to function in healthy ways and reach their potential. This video course will include a discussion of normal early childhood development and the range of normal functioning as it is impacted by temperament. The purpose of this course is to help participants understand the role that temperament plays in the trajectory of normal child development including inner experience, relationships, and behavior and learn effective, supportive interventions. 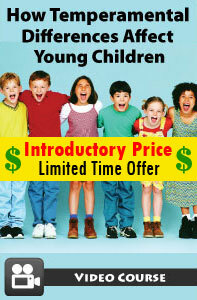 It is intended for all types of therapists who work with children or their parents, as well as for school-based personnel and classroom teachers. Course #20-83 | 2014 | 14 posttest questions. These online video streaming courses provide instant access to the course videos, course handouts and CE test. Successful completion of the online CE test (80% required to pass, 3 chances to take) and course evaluation are required to earn a certificate of completion. You can print the test (download test from My Courses tab of your account) and mark your answers on while viewing the video. Then submit online when ready to receive credit. Professional Development Resources is approved by the American Psychological Association (APA); the National Board of Certified Counselors (NBCC ACEP #5590); the Association of Social Work Boards (ASWB Provider #1046, ACE Program); the American Occupational Therapy Association (AOTA Provider #3159); the Commission on Dietetic Registration (CDR Provider #PR001); the California Board of Behavioral Sciences (#PCE1625); the Florida Boards of Social Work, Mental Health Counseling and Marriage and Family Therapy (#BAP346), Psychology & School Psychology (#50-1635), Dietetics & Nutrition (#50-1635), and Occupational Therapy Practice (#34); the Ohio Counselor, Social Worker & MFT Board (#RCST100501); the South Carolina Board of Professional Counselors & MFTs (#193); and the Texas Board of Examiners of Marriage & Family Therapists (#114) and State Board of Social Worker Examiners (#5678). Bullying Prevention: Raising Strong Kids by Responding to Hurtful & Harmful Behavior is a 3-hour video-based CE course presented by Amy Burzinski, LISW. This video course starts with a thoughtful definition of “bullying” and goes on to illustrate the functional roles of the three participant groups: the targeted individuals, the bullies, and the bystanders. The speaker discusses the concepts of resiliency, empathy, and growth/fixed mindsets, and considers the pros and cons of alternative responses to harmful behavior. Included also are an examination of the utility of zero tolerance policies and a variety of adult responses when becoming aware of bullying behavior. 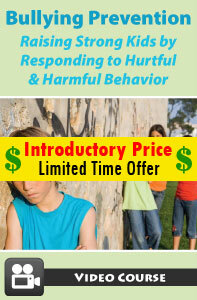 The speaker utilizes multiple examples and scenarios to propose strategies and techniques intended to offer connection, support and reframing to targeted individuals, motivation to change in the form of progressive, escalating consequences to bullies, and multiple intervention options to bystanders. Further segments discuss ways in which schools can create safe, pro-social climates. Course #30-73 | 2014 | 21 posttest questions. California-licensed occupational therapists have a biennial license renewal with a birth date deadline, even years. Twenty-hour (24 PDUs) continuing education hours are required to renew a license. There are no limits on home study if AOTA approved, and a certificate of completion is required. Twelve (12 PDUs) hours of continuing education must relate directly to occupational therapy service delivery. Professional Development Resources is an American Occupational Therapy Association (AOTA)approved provider of continuing education (#3159). The assignment of AOTA CEUs does not imply endorsement of specific course content, products, or clinical procedures by AOTA. Occupational therapists licensed in the state of California have a license renewal every two years with a birth date deadline, even years. Twenty-hour (24 PDUs) hours of continuing education are required for license renewal. There are no home study limits if AOTA approved, and a certificate is required. Twelve (12 PDUs) continuing education hours must relate directly to occupational therapy service delivery. Information obtained from the California Board of Occupational Therapists on July 28, 2014. Nevada-licensed occupational therapists have an annual license renewal with a June 30th deadline. Ten (10) hours of continuing education are required to renew a license, and all ten hours are allowed from home study, and AOTA is accepted. Licensees can take any course relevant to their practice, and up to ten hours can be carried over to the next year. 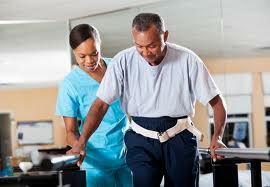 Occupational therapists licensed in the state of Nevada have an annual license renewal with a June 30th deadline. Ten continuing education hours are required for license renewal. All ten hours are allowed from home study, and AOTA is approved. Licensees can take any course relevant to their practice, and up to ten hours can be carried over to the following year. Information gathered from the Nevada Board of Occupational Therapy on June 3, 2014. North Dakota-licensed occupational therapists have a biennial license renewal with a June 30th deadline, even years. Twenty hours of continuing education are required for license renewal. There are no limits on home study if AOTA approved. Content must be relevant to practice. Occupational therapists licensed in the state of North Dakota have a license renewal every two years with a deadline of June 30th, even years. Twenty (20) continuing education hours are required for license renewal. There are no limits on home study if AOTA approved. Content must be relevant to practice. Data obtained from the North Dakota State Board of OT Practice on May 19, 2014. Montana-licensed occupational therapists have an annual license renewal with a June 15th deadline. Ten (10) continuing education hours are required for license renewal, and there are no limits on home study if AOTA approved. Continuing education must be germane to practice. Occupational therapists licensed in the state of Montana have a yearly license renewal with a deadline of June 15th. Ten (10) continuing education hours are required for license renewal, and there are no limits on home study if AOTA approved. Continuing education must be germane to practice. Information obtained from the Montana Board of OT Practice on April 17, 2014. 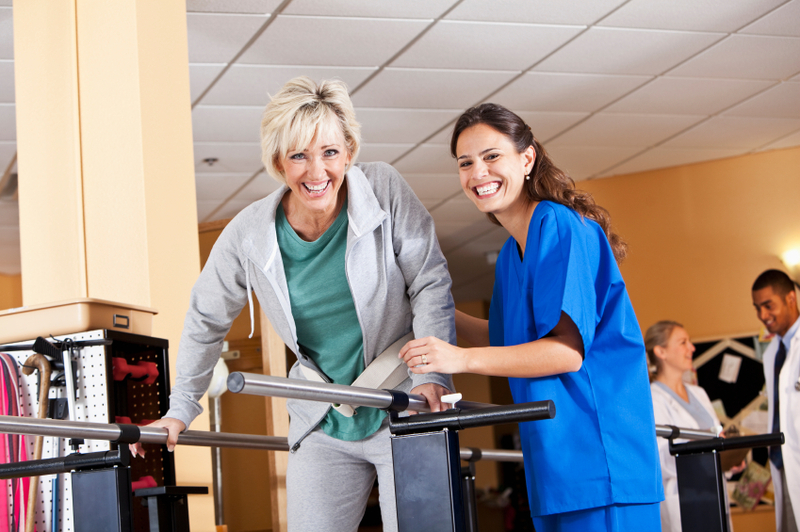 North Carolina-licensed occupational therapists have an annual license renewal with a June 30th deadline. Continuing education is due by May 31st of every year. Fifteen points (hours) are required for license renewal every year. There are no limits on home study if AOTA approved, and there must be a post-test. One hour of ethics is required every other renewal or odd years. Professional Development Resources is an American Occupational Therapy Association (AOTA) approved provider of continuing education (#3159). The assignment of AOTA CEUs does not imply endorsement of specific course content, products, or clinical procedures by AOTA. Professional Development Resources is also approved by the Florida Board of OT Practice (#34) and is CE Broker compliant. Occupational therapists licensed in the state of North Carolina have a yearly license renewal with a deadline of June 30th. Continuing education is due by May 31st. Fifteen (15) points or hours are required every year for license renewal. There are no limits with home study if AOTA approved. There must be a post-test. One hour of ethics is required every other renewal (odd years). Information obtained from the North Carolina Board of Occupational Therapy on April 3, 2014. Occupational therapists licensed in the state of Oregon have a biennial license renewal with a May 1st deadline, even years. Thirty (30) hours of continuing education are required to renew a license every two years. There are no limits on home study if AOTA approved. Content must be relevant to OT practice, and seven (7) hours of pain management are required from the free class on the board website. Professional Development Resources is an American Occupational Therapy Association (AOTA)approved provider of continuing education (#3159). The assignment of AOTA CEUs does not imply endorsement of specific course content, products, or clinical procedures by AOTA. Professional Development Resources is also approved by the Florida Board of OT Practice (#34) and is CE Broker compliant. 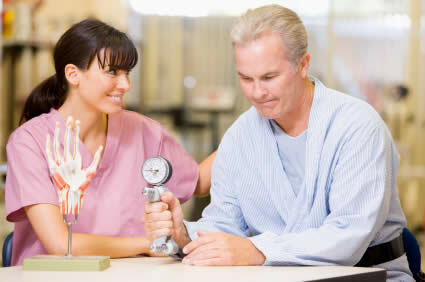 Oregon-licensed occupational therapists have a license renewal every two years with a deadline of May 1st, even years. Thirty continuing education hours are needed for license renewal every two years. There are home study limits if AOTA approved. Content should be relevant to occupational therapists practice, and seven (7) hours of pain management are required from the free class on the board website. Data obtained from the Oregon Occupational Therapy Licensing Board on March 10, 2014. Mississippi-licensed occupational therapists have a biennial license renewal with an April 30th deadline, even years. Twenty (20) continuing education hours are required to renew a license every two years. Of the twenty hours, seven (7) hours are allowed from home study if AOTA approved, and six (6) hours must directly relate to OT practice and be live. Occupational therapists licensed in the state of Mississippi have a license renewal every two years with a deadline of April 30th, even years. Twenty hours of continuing education are required to renew a license every two years. Of the twenty hours, seven hours are allowed from home study if AOTA approved, and six hours should be live and directly relate to OT practice. Information obtained from the Mississippi Advisory Council in Occupational Therapy on March 10, 2014.